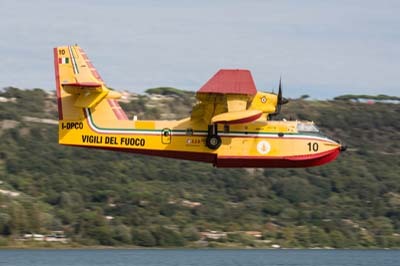 The Vigili del Fuoco, 'the Firewatchers' otherwise known as the Corpo Nazionale dei Vigili del Fuoco (CNVVF) is Italian state fire and rescue service. 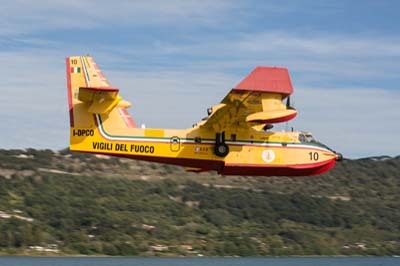 They operate Agusta-Bell AB 412, AB 206 and Agusta-Westland AW 109 from bases around Italy. 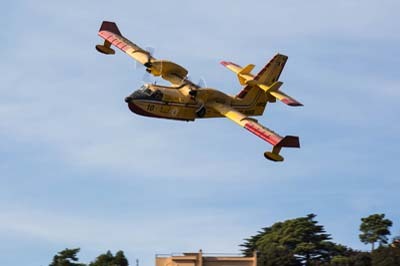 Twelve helicopter units are located at Alghero, Arezzo, Bari, Bologna, Catania, Genoa, Pescara, Salerno, Turin, Varese, Venice and at the Aviation Center of Rome Ciampino. 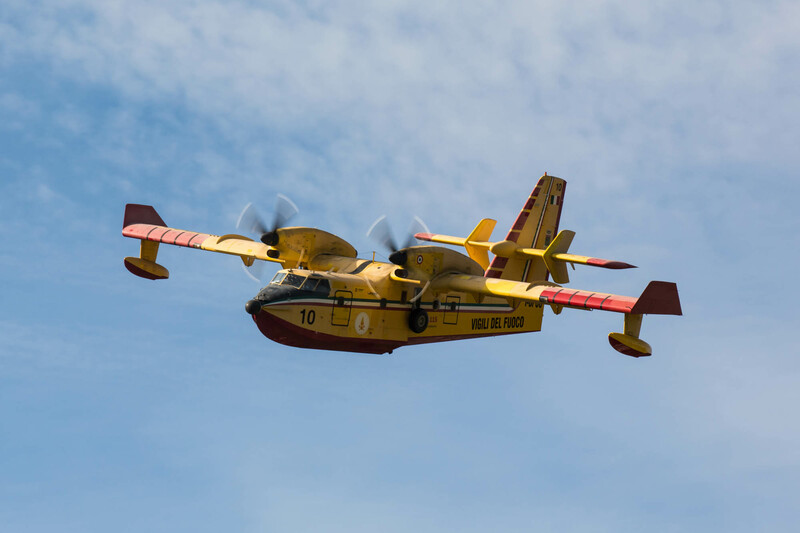 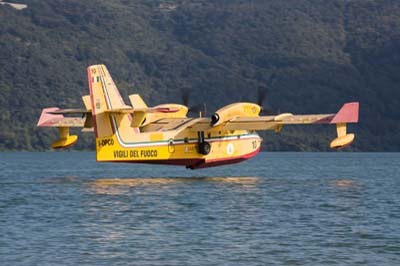 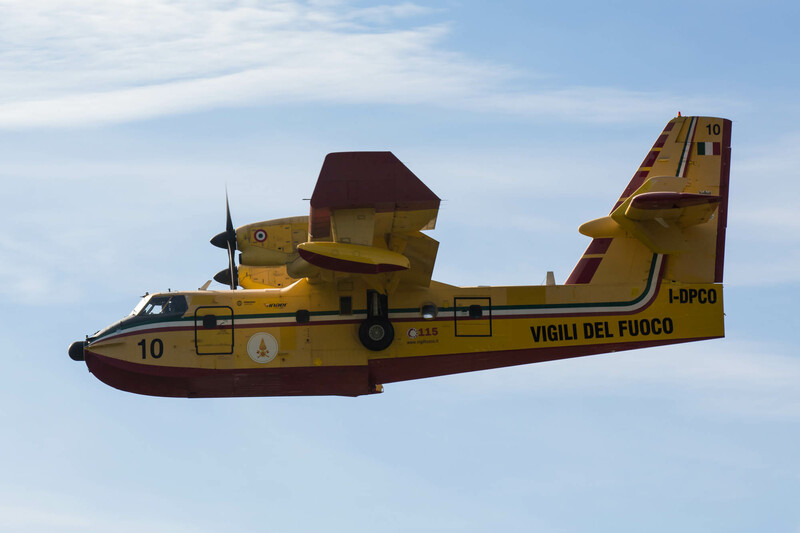 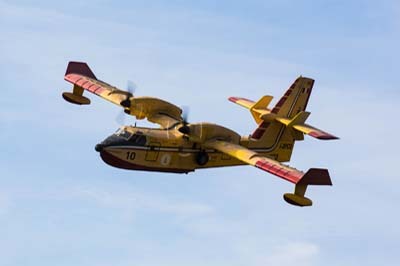 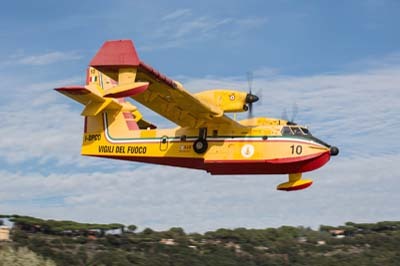 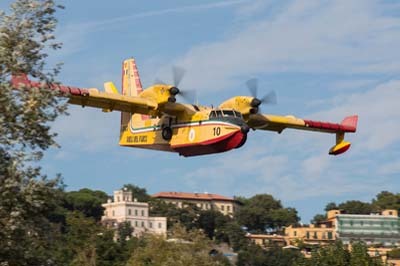 Also operating from Rome Ciampino are a fleet of Canadair CL-415 water bombers. 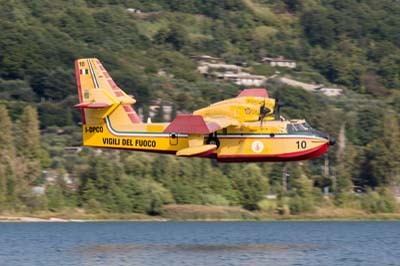 The CL-415 (I-DPCO '10' c/n 2009) featured below was performing practice landings on Lago Albano the nearest lake to its home base on a Saturday morning. 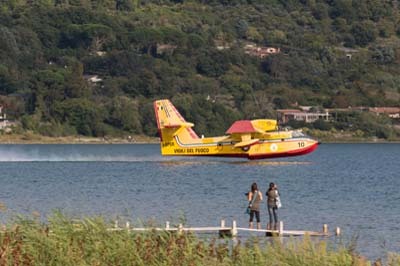 Lake Albano is a small volcanic crater lake 20 kilometres southeast of Rome. 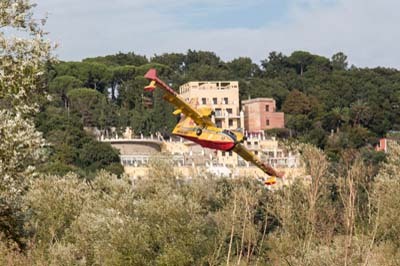 Overlooking it is Castel Gandolfo, where the Pope has his summer residence. 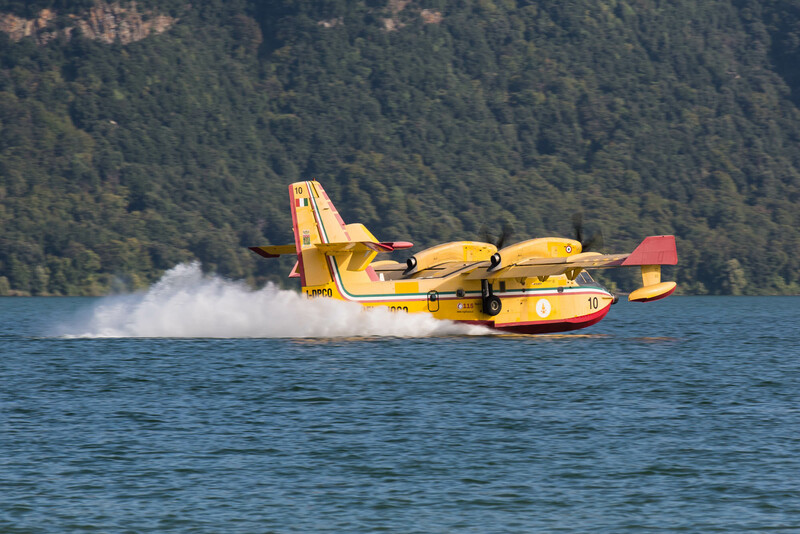 I was sitting on the shore of the lake relaxing and taking pictures of my four month old grand-daughter when out of the blue appeared this CL-415 water bomber. 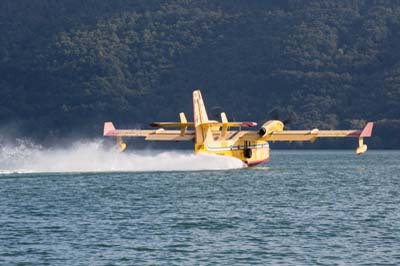 In an instant I was darting around the shore line to get as close as possible. 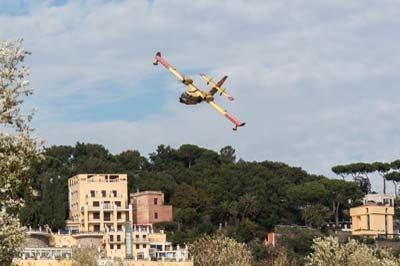 In truth I didn't need to do any running around as after the first two landings the pilot(s) changed their approach and were now touching down right next to me. 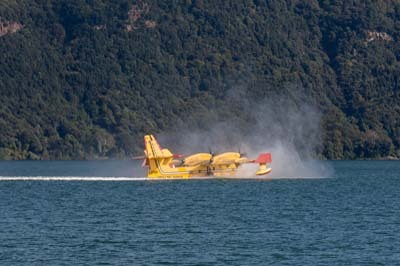 This was despite all the boating craft that I feared would disrupt the landings by not keeping sufficiently clear. 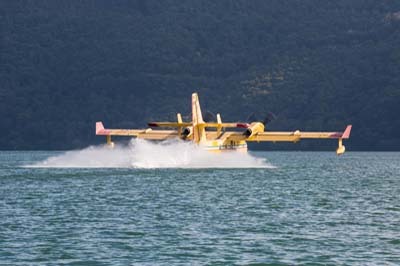 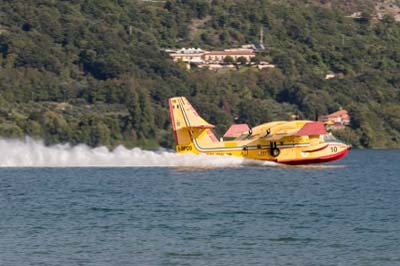 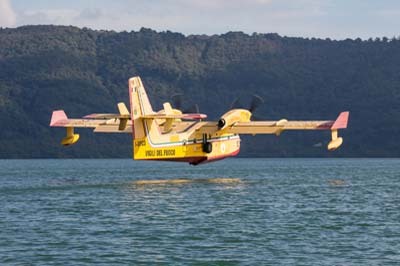 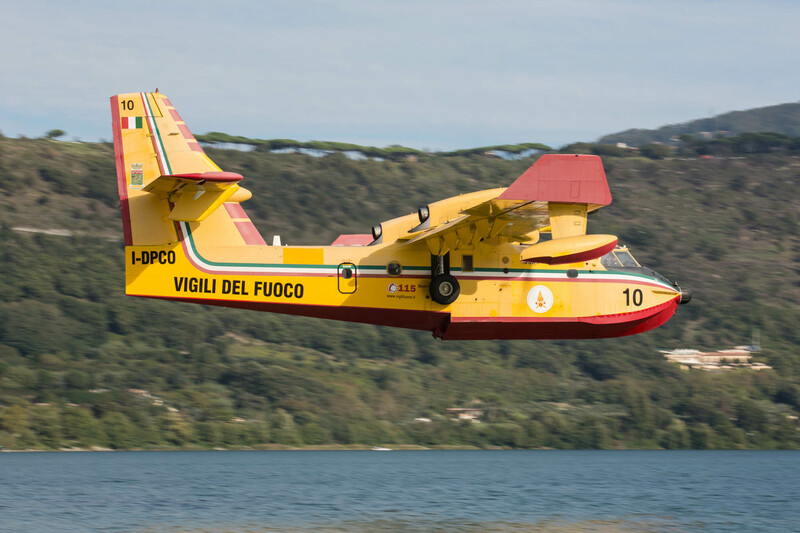 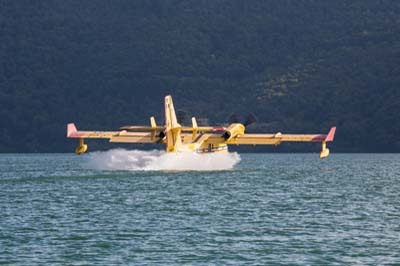 Canadair CL-415 (I-DPCO '10') landing on Lago Albano. 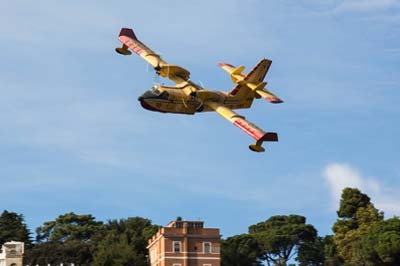 Left to right: It did create a bit of interest from the locals with their iPhones and by good luck I had a 70-200mm with me which was more or less perfect. 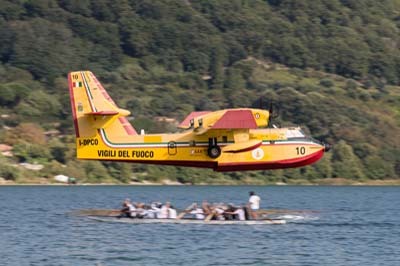 Left to right: Canadair CL-415 (I-DPCO '10') touching down beside twelve man rowing boat. 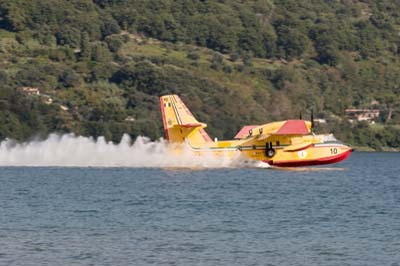 Canadair CL-415 (I-DPCO '10') turning in. 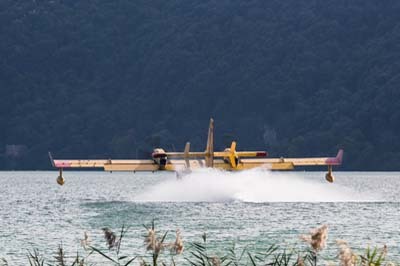 Left to right: I just could not get quite the clear view of the approach.